Gone are the days of sticky floors and greasy windows – pub landlords are now spending thousands on flowers to make their façades appealing to Instagrammers. As reported by The Telegraph, the popularity of the social media app has spurred landlords into spending lavish amounts on prettifying their façade’s with colourful displays that lend themselves to selfies. Instagram has grown to become an important marketing platform, with pubs, bars and restaurants benefiting from free advertising if ‘grammers snap their sites. Topping the list of the big spenders is The Churchill Arms in Kensington, which has long been popular for its blooming marvelous flower festooned frontage. 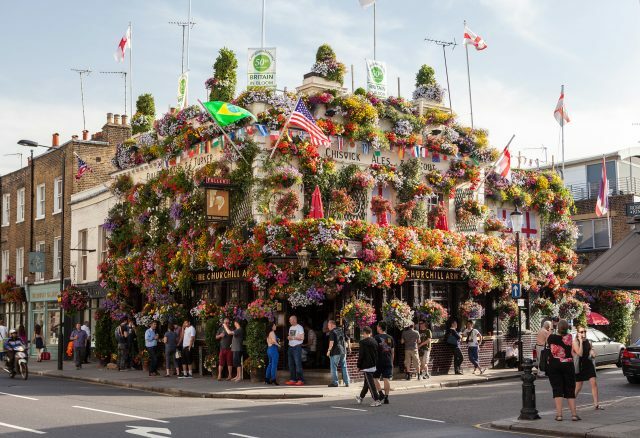 General manager, James Keogh, revealed to the paper that the west London pub spends a staggering £30,000 a year on its floral displays, which first bloomed all the way back in 1986. “People see how beautiful the pub flowers are on Facebook and Instagram and make it a priority to come and see us.,” Keogh said. ”There is no doubt that the flowers are good for business. They bring customers into the pub and the photos of them on Instagram highlight our business. It’s a great way of advertising and a positive way of driving sales,” he added. Much like a menu, the pub’s hanging baskets change with the seasons and most recently commemorated the marriage of Prince Harry and Meghan Markle. Come Christmas the cosy pub will be lit with fairy lights from no less than 90 Christmas trees. 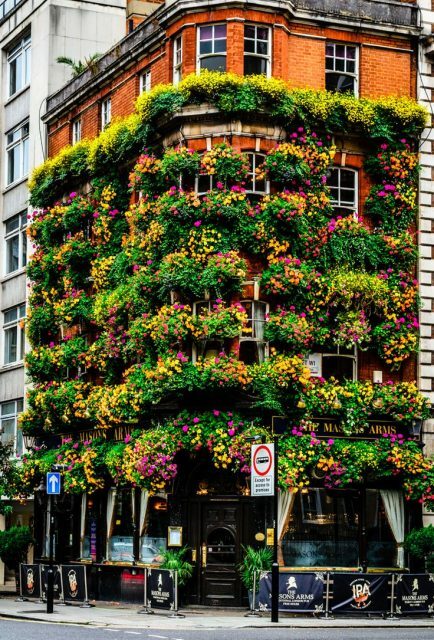 The Masons Arms in Marylebone meanwhile, spends around £24,000 a year on flowers and adapts its displays to respond to the latest trends on social media. “This year with the World Cup our theme was the St George Flag. We spend about £24k a year on flowers, but we definitely make our money back on custom and the pub is becoming a landmark,” manager Alistair Gentleman told The Telegraph. Outside London, The Hollybush in Hertfordshire employs a Cornish gardener twice a year to tend to its floral front, which bursts with wisteria in spring. “It costs quite a lot of money, but our wisteria helps to bring in business,” landlady Vanessa Williams revealed.